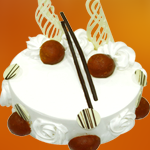 Easter Specials | Cake Shop Mumbai, Best Cake Shop Mumbai, Order Chocolate Cakes, Order Fruit Cakes, Cream Cakes in Mumbai, Deliver Cakes in Mumbai, Cakes for All, Cakes in Mumbai, Best Cake Shop in Mumbai, Cake Delivery all over Mumbai, Premium Cakes of Mumbai, India. 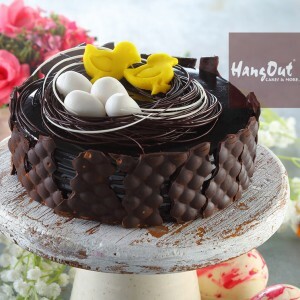 Easter Special Classic Dutch Truffle Cake with a Delicious Chocolate Bird's Nest filled with Eggs an..
Special Easter Cake in Rich Chocolate enriched with Butterscotch, Cappuccino and Bunny Face, Eg..
Easter traditional Black Forest cake with Lovely Flowers Decoration and Bunny Ears. Best for your..
Moist Chocolate Cake with layers of Chocolates Flakes, Chicks & Easter Eggs on top. Best for ..
EASTER EGGs by Hangout Cakes & More. Chocolate Easter Egg base with crushed Oreos filled..
EASTER EGGs by Hangout Cakes & More. Chocolate Easter Egg Base filled with Mango Cream & ..
EASTER HAMPER Cakes by Hangout Cakes & More. Chocolate Big Eggs(5Pcs), Few mini eggs , Chocol..
EASTER EGGs by Hangout Cakes & More. Big and Small Easter Eggs.. for your loved ones. ..
EASTER EGGs by Hangout Cakes & More. Chocolate Eggs(4 Big Colourful Chocolate Eggs) ..
EASTER EGGs by Hangout Cakes & More. Chocolate Easter Eggs(1 Pc).. for your loved ones. ..
EASTER EGGs by Hangout Cakes & More. Chocolate Eggs(2 Big Chocolate Eggs). ..
EASTER EGGs by Hangout Cakes & More. Chocolate Eggs(250 gms) and Bunny for your Loved Ones. ..